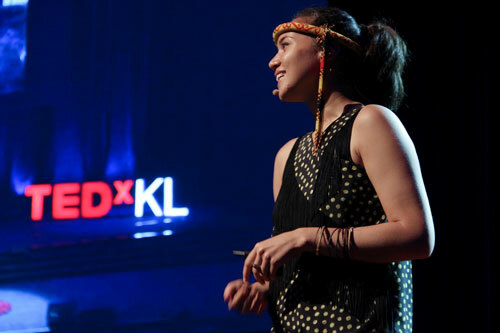 Since 2009, TEDxKL was set in motion by the simple vision of bringing inspiring individuals together to share their experiences with its audience. In keeping with this purpose, INTI has also organized their very ownTEDxINTI in conjunction with its 30th Anniversary in March. #TEDxINTI is a series of five TEDx events held across five INTI campuses nationwide. 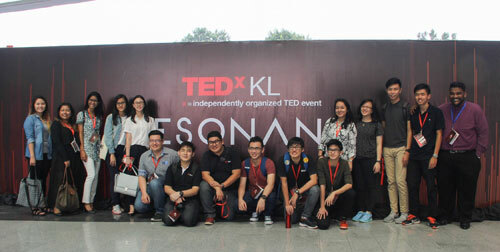 The TEDxINTI initiative began at TEDxINTIIU and TEDxINTIPenang while the upcoming conferences are set to take place at INTI’s Kuala Lumpur, Subang and Sabah campuses. Previous speakers include INTI alumni such as Edison Lim, a visual artist who specializes in magic; Heidy Quah, one of the youngest NGO founders who runs six schools for almost 600 refugee children; and Marcus Low, founder or Hostel Hunting who during his college days at INTI, created an online application that would help fellow students solve their accommodation woes. By featuring ground-breaking individuals, TEDxINTI has initiated great thoughts, ideas and conversations amongst students. INTI hopes that its TEDx partnership would further empower young minds to create positive social impact. This goal is further supplemented with the setup of TEDx clubs in each INTI campuses to spur more public speaking workshops and activities. This year, TEDxKL explored “Resonance” as its theme this year and featured 13 prominent presenters including Usman Riaz, a Pakistani musician; Alena Murang, Borneo art forms pioneer; Honor Harger, an artist-technologist from New Zealand; Saidah Rastam, a musician, composer and author; Anne Tham, an education reformist; Dr. Rajiv Bhanot, a social entrepreneur; Bernard Goh, an artistic director; Anne Dequerry, a bio-conversion advocate; Fabrice Schnoller, an engineer, freediver, and acoustics researcher; Izmir Yamin, a rocket scientist; Rajeev Peshawaria, CEO of the Iclif Leadership & Governance Centre; Bibop G. Gresta, Chairman and COO of Hyperloop Transportation Technologies; and Hands Percussion, the Malaysian drumming and musical group. TEDxKL 2016 was held from 1PM to 7PM at the Calvary Convention Centre, Kuala Lumpur on 20th August 2016.